The IBM® TS1140 tape drive features storage capabilities to help you establish rapid access to data, improve security, provide long-term retention, and maintain data governance and regulatory compliance. TS1140 offers high-performance, flexible data storage with support for data encryption and can help protect your investments in tape automation through compatibility with existing automation. To further protect your investment, an upgrade model is available for existing IBM TS1130 tape drives. For flexible storage in heterogeneous server infrastructures, TS1140 offers multiplatform support and scales from midrange to enterprise environments. Help maintain business performance and improve the performance of your tape operations with data transfer rate up to 650 MBps with compression. Utilize improved space efficiency of your tape infrastructure with the small form factor of TS1140 tape drive. Utilize next-generation technology to protect your existing tape investments while improving performance. 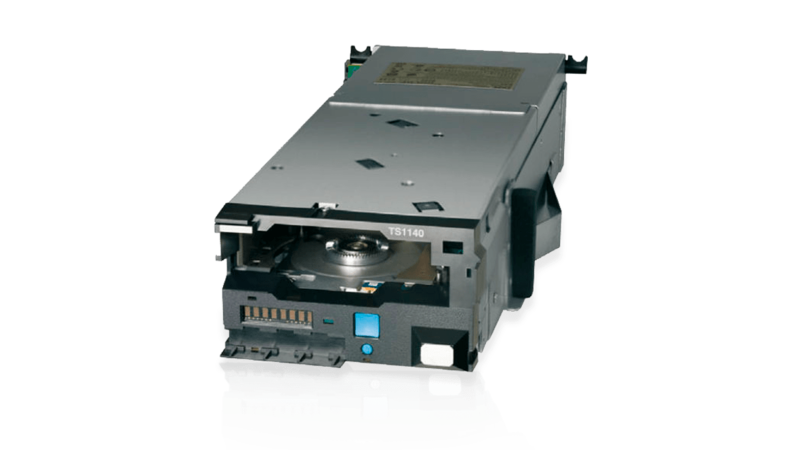 The TS1140 tape drive provides compatibility with existing IBM tape automation installations.